Terms like systems of engagement, digital transformation and digital disruption can grate -- they seem more at home in marketing PowerPoints than they do in data managers' work plans. But wider digitization has led to real changes in how business is done. Underlying those changes are technology enablers like NoSQL architecture. Today, various NoSQL databases, together with new data ingestion and analytics approaches, have taken a more prominent place in data management portfolios. Relational SQL systems are still there, but they drive systems of record more than systems of engagement. A large number of NoSQL databases arose in the early days of mega-scale websites, and their use just seems to be spreading. NoSQL architecture has gained attention particularly as an element in so-called systems of engagement -- that is, web applications that feed a recommender or personalize a product offering. In this edition of the Talking Data podcast, we peek behind the curtain and look at NoSQL architecture from several angles. Appearing in this podcast is Billy Bosworth, CEO at DataStax and a specialist in Cassandra, one of the more widely deployed of the new NoSQL databases. According to Bosworth, the appeal of new databases relies on factors such as context. That is, the new databases have an architecture that helps users combine a wide assortment of data types, many of which are unstructured. Context, Bosworth says, is important because the diversity of data today is so broad. "It's no longer just a dumb atomic transaction," he says, referring to the transaction processing databases that still comprise the lion's share of enterprise workloads. Other factors in NoSQL uptake are the need for distributed processing and always-on performance. Taken together, these attributes set the stage for systems of customer engagement, an emerging focus for DataStax. 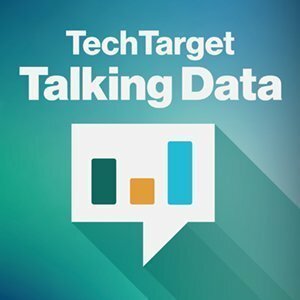 Listen to this edition of the Talking Data podcast to learn more about NoSQL architecture's place among the rising stars of big data. Also covered are recent developments in NoSQL releases. These range from Couchbase 4.6, with improved support for multiple data deployment, to Aerospike 3.11, with updated memory allocators to improve dynamic RAM performance, to Oracle's latest version of its NoSQL database, with native JSON support. What obstacles have you encountered when implementing NoSQL architectures in your organization? What do you think of NewSQL technologies that address the need for distributed processing, high availability, while also addressing what NoSQL lacks - data consistency?